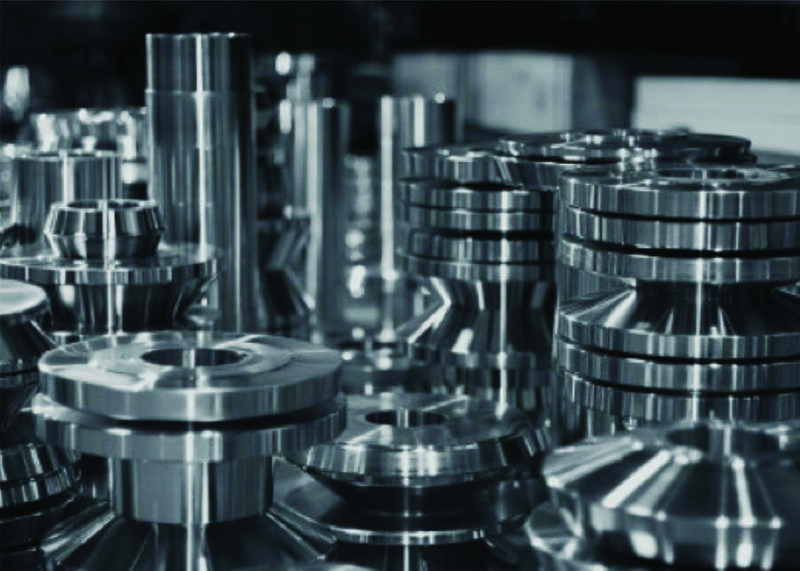 Custom roll forms and secondary tooling are designed and fabricated in-house to meet your needs and machinery specifications. D&N Bending can restore worn or damaged rolls, and can turn rolls with CNC lathe or manual lathe. Our wire 1”, 1-1/2” and 2” EDM machines manufacture sweep blocks, straighteners, and section gages. D&N Bending currently has 10 roll mill lines and can produce sections up to 12” wide. 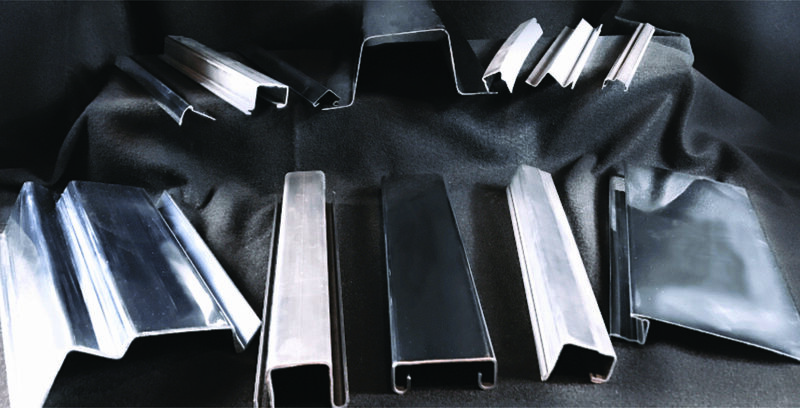 Roll forming is a type of forming involving the continuous bending of a long strip of sheet metal into a desired cross-section. The strip passes through sets of rolls mounted on consecutive stands, each set performing only an incremental part of the bend, until the desired cross-section (profile) is obtained. Roll forming is ideal for producing constant-profile parts of long lengths and large quantities. Roll forming lines can be set up with multiple configurations to punch and cut off parts in a continuous operation. For cutting a part to length, the lines can be set up to use a pre-cut die where a single blank runs through the roll mill, or a post-cut die where the profile is cutoff after the roll forming process. Features may be added in a hole, notch, embossment, or shear form by punching in a roll forming line. These part features can be done in a pre-punch application (before roll forming starts), in a mid-line punching application (in the middle of a roll forming line/process), or a post punching application (after roll forming is done). Some roll forming lines incorporate only one of the above punch or cutoff applications, others incorporate some or all of the applications in one line.